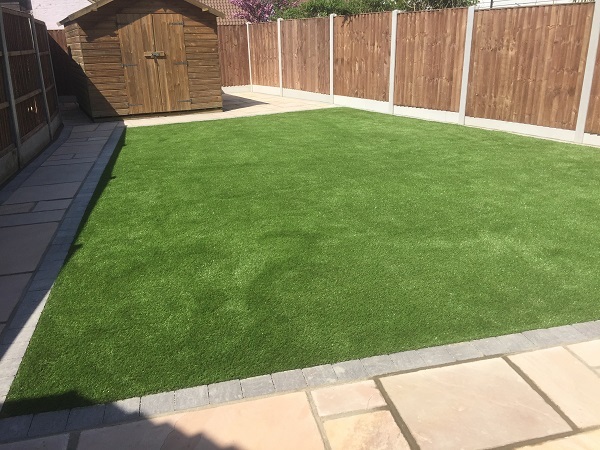 Woodland Paving lay artificial turf in Essex including Hornchurch, Emerson Park, Upminster, Gidea Park, Elm Park, Romford, Hutton, Brentwood, Cranham, Harold Wood and Ardleigh Green. 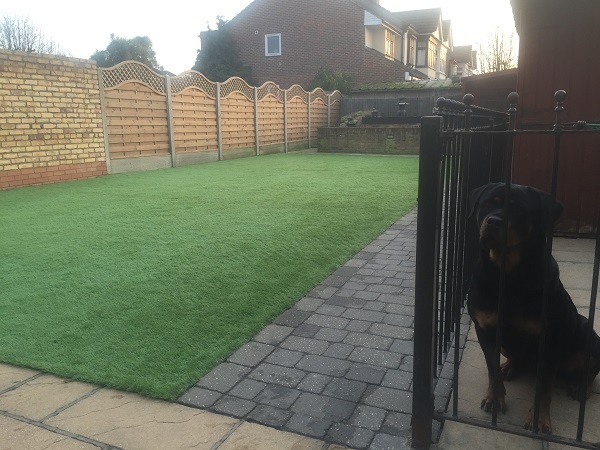 We provide lawns using artificial grass in Hornchurch and other areas in Essex. 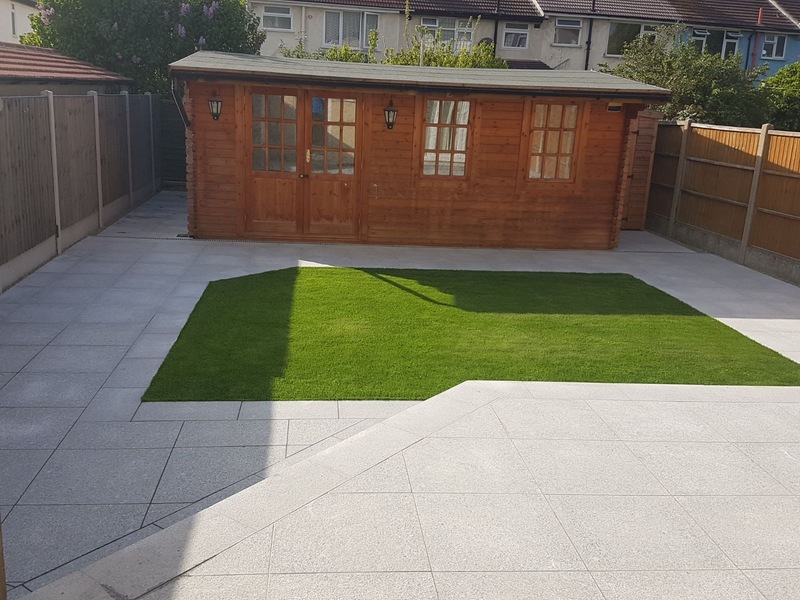 Woodland Paving have laid many artificial lawns in recent years, with great results. We dig to around 75mm and put in a geotextile membrane followed by type one base. And then granite fines are screeded flat before another membrane goes down and the artificial turf. We use fines instead of sand as have found there is less chance of urine smells from dogs compared to sand. 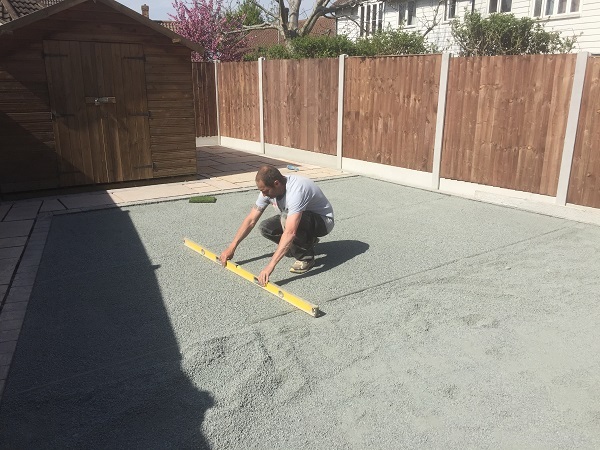 We can lay any type of edges, from block pavers and nice setts to wooden sleepers. You will get a 10 year guarantee against fading from the suppliers. We are not connected to any particular supplier, so are free to choose the best products for your budget. Reasons to choose artificial turf instead of real lawn. We can bring a variety of samples with us for you to choose from. Once we are finished your garden is ready to enjoy immediately, as we clear site and leave neat and tidy. Woodland Paving for the best in Artificial Turf in Essex. Ardleigh Green, Brentwood, Cranham, Elm Park, Emerson Park, Gidea Park, Harold Wood, Hornchurch, Hutton, Romford and Upminster.